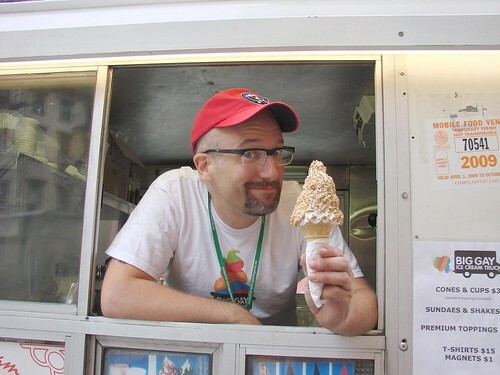 Blondie and Brownie: Big Gay Ice Cream Truck Returns! Serious Eats NY has the full scoop (*sorry, I couldn't resist), but the long and short of it is, BGICT is coming out with a book with Abrams in 2012! And Doug promises: "our book isn't just recipes. I'll also share things like my preferred way to shoo heroin dealers away from your ice cream truck." Ice cream and life lessons. What more could you want? Yaaaaay! (Or should I say Gaaaaay?!) Summer's a-coming. I'm so excited for ice cream truck season... Especially this one. 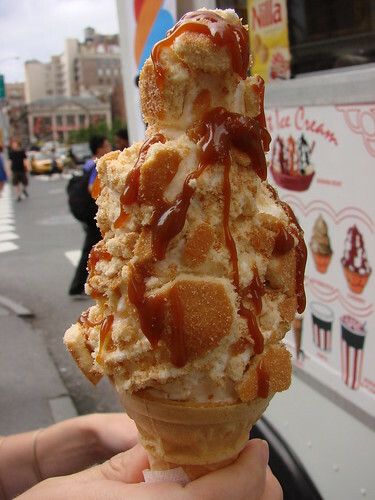 That ice-cream looks yummy...i should try it when i get back NyC.